It’s a day full of deals. Now that CES is over with and MWC is approaching, Verizon is doing their best to thin out inventory on older devices. 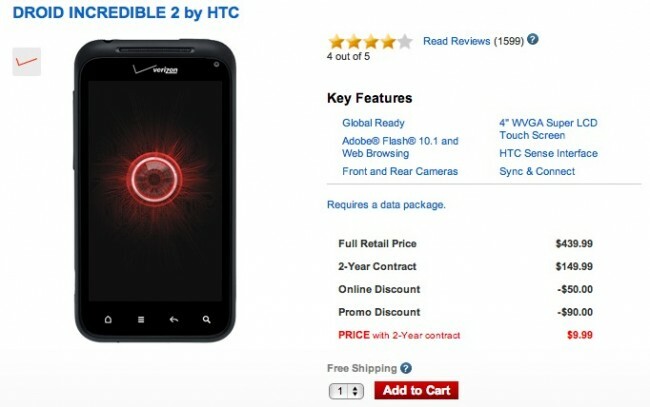 Within the last week we have seen deals on the DROID 3, Thunderbolt, Rezound, and now the Incredible 2. How does $9.99 sound?